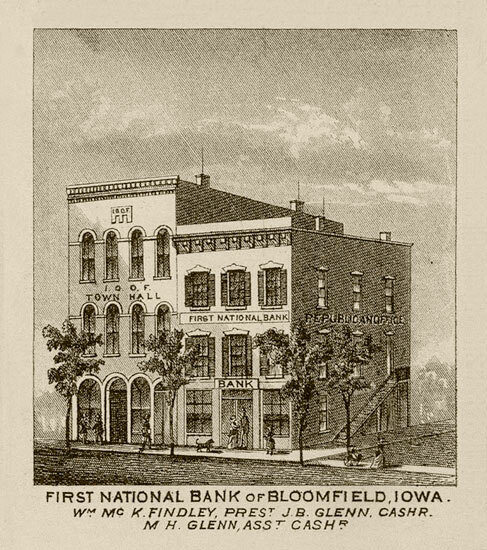 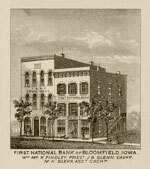 December 1883 Sanborn fire insurance map for Bloomfield Iowa. 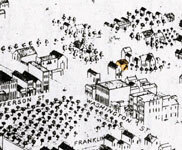 The map shows the eight blocks that surround the town square. 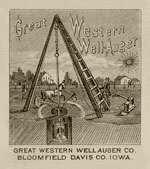 Download a Detailed PDF Here. 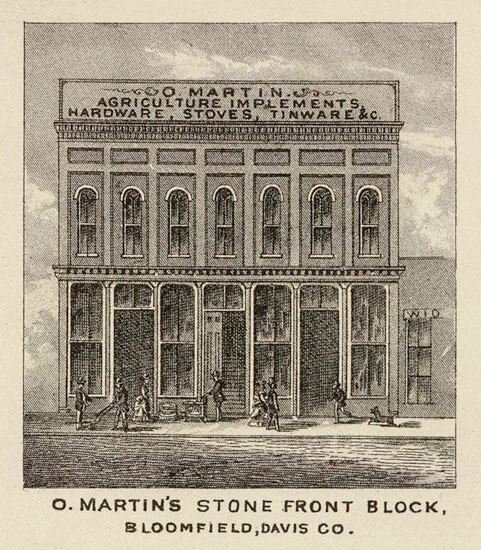 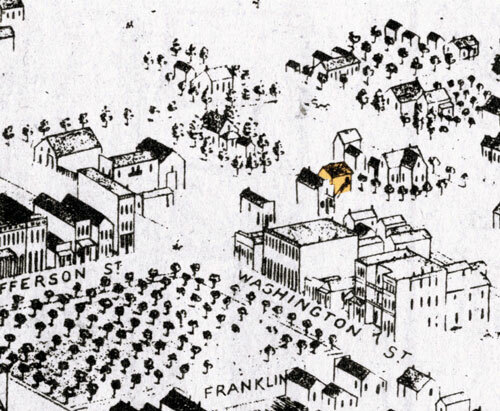 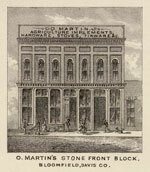 The town square from an 1869 bird’s eye drawing of Bloomfield looking North/Northeast. 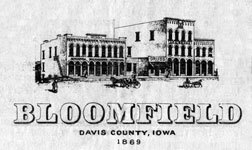 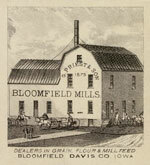 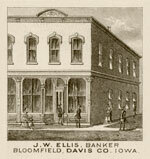 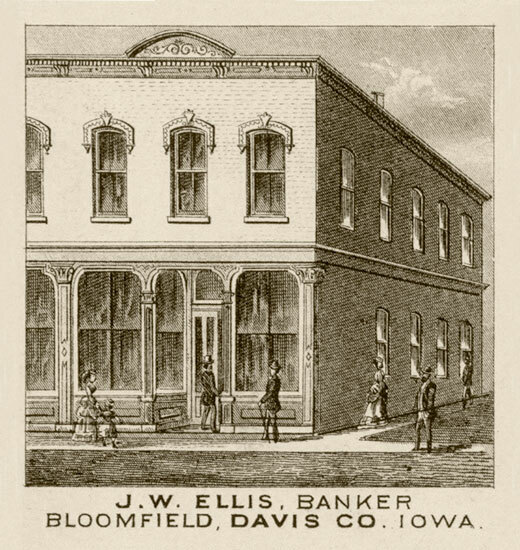 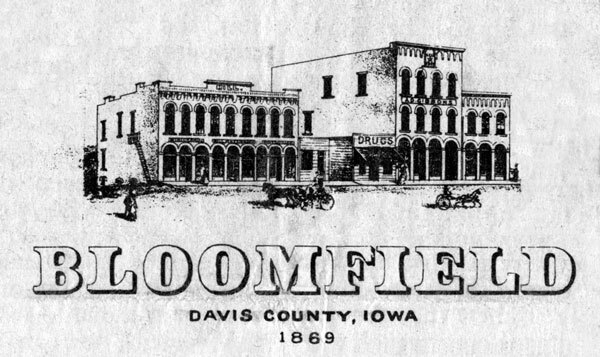 1875 map of Bloomfield from Andreas' Historical Atlas of Iowa. 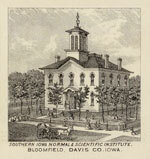 The Southern Iowa Normal & Scientific Institute. 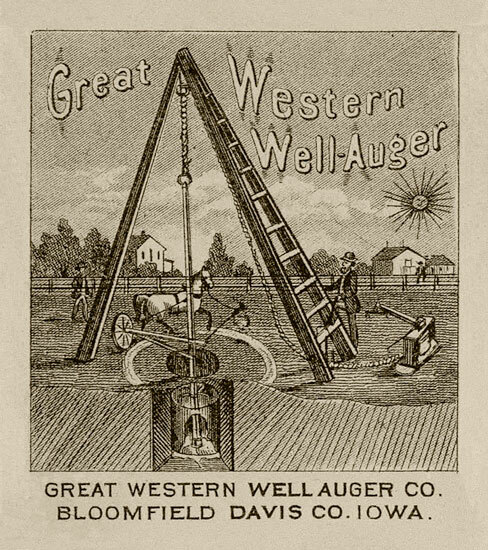 The Great Western Well Auger Co.
1876 photo looking to the SE from the tower of the recently completed school building. 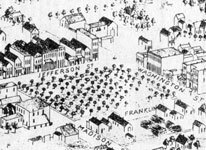 In November of that year, the middle of the town square was cleared of trees to make way for the courthouse foundation work to commence. 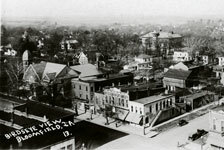 1923 Panorama photo looking NW from the top of the courthouse. (You can see the iron work that surrounds the statue in the lower right corner). 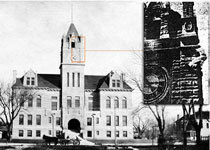 Note the recent fire that has struck the Nazarene church in the middle of the photo. 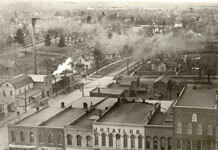 1923, Looking due west from top of due West. 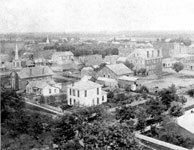 Note in the distance on Jefferson Street, the bell tower of the SIN (Southern Iowa Normal) and the white tower of the Wallace house (SE corner of Bloomfield Ave & Jefferson Street. Also in the far distance on Jefferson Street you can see the Rock Island railroad trestle crossing over the street.